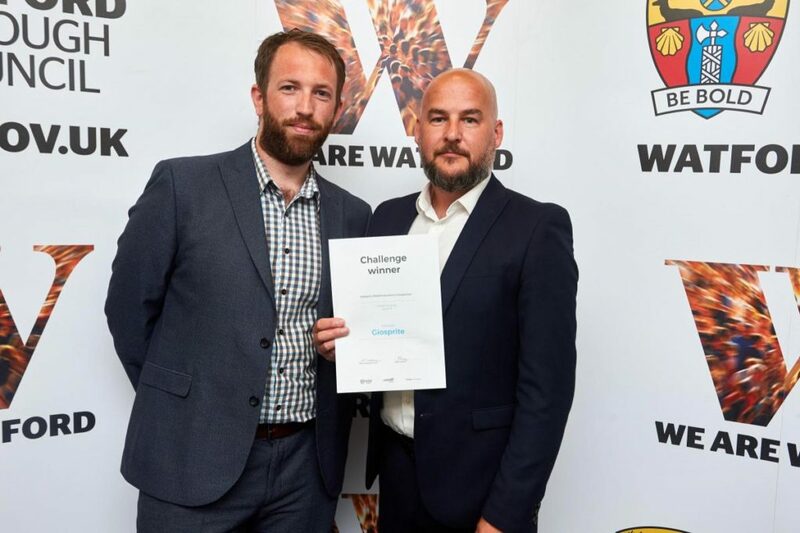 We have been awarded £10,000 of investment funding by Watford Borough Council to run a trial of a new footfall monitoring solution, after winning an innovation competition run by the local authority in partnership with Digital Catapult. On the 19th July, following a rigorous application process that including a Dragons’ Den style pitch to a panel of experts, Giosprite was announced as the footfall challenge winners and had the opportunity to present its pitch to an audience of local authorities, local businesses and public sector organisations. Helping Watford Borough Council to monitor footfall and visitor flow information more effectively, Giosprite’s winning, innovative solution is to install a combination of both fixed and flexible location cameras and sensors, connected to a WiFi network, to capture the unique MAC (Media Access Control) address of a person's mobile phone. Anthony Brown, Sales and Marketing Director for Giosprite, explains: “Location counters usually have to be mains powered, but we are providing battery powered, flexible location cameras with MAC address counting sensors, operating over a Low Power Wide Area Network (LPWAN) that can be installed to cover specific events, recharged, and moved to different locations. Liam Hornsby, Programme Manager for Watford 2020, said: “The Innovation Competition panel, made up of representatives from Watford Borough Council and Digital Catapult, were particularly impressed with Giosprite’s knowledge of the local area, having taken the time to carry out site checks in the High Street and Cassiobury Park to fully understand the challenge posed by the council. Anthony adds: “'We're delighted to have taken part in this exciting challenge - and won! It was such a great experience, and we're proud to be working with Watford Borough Council who clearly have innovation and the needs of their residents and visitors at the heart of their smart city strategy.